A service to celebrate the life of John P. Shaw will be at 2 p.m. Friday, Nov. 24 at Blanchard-St. Denis Funeral Home. Burial will follow at Memory Lawn Cemetery in Natchitoches. John, 74, and a resident of Natchitoches, went to be with the Lord Tuesday, Nov. 21, 2017. He was born Oct. 13, 1943, to Paul and Margaret Shaw of Natchitoches. John served proudly in the U.S. Army, received his business degree from Louisiana State University and owned and operated two successful businesses before retiring in 2002. 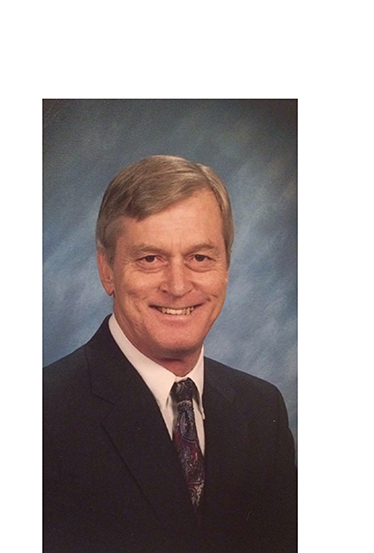 He was a faithful member of First Baptist Church of Natchitoches, as well as an active member of the community through the Kiwanis Club for many years. John enjoyed photography, hunting, shooting guns at the shooting range, relaxing in his favorite chair while watching Fox News, reading and spending time with his family. He was a loving husband, dad, granddaddy and friend. John will be dearly missed by those who knew him, but never forgotten. Those left to cherish his memory include his wife of 45 years, Sandy; two children, Stacey Armand and husband Gabe, and Michael Shaw and wife Loni, all of Lafayette; sister, Carolyn Bonifay and husband Bill of Corinth, Texas; he was blessed with four grandchildren, Rhysen Armand, and Lexi, Lilee and Noah Shaw; as well as nieces, Melissa Knittle and Amy Russell. Those honored to serve as pallbearers include Michael Shaw, Gabe Armand, Gary Giddens, Mark Swafford, Ken Gardner and David Antilley. Jimmy Copella, Phillip Fairchild, Richard Fairchild and Bill Bonifay will serve as honorary pallbearers. The family would like to thank John’s heart transplant team at St. Lukes Heart Hospital in Houston, Dr. Chris Ingram, Kindred At-Home Health, as well as all the other doctors, nurses and aides who diligently worked to give John a high quality of life over the past few years. In lieu of flowers, please make donations to the St. Lukes Heart Transplant Unit of the Hospital in Houston where John received his heart transplant or the Spirit Seekers of First Baptist Church in Natchitoches.